Yes, I actually own all of these apps. And then some. One of the occupational hazards of writing for a site like GeekDad (and reviewing iOS apps on the side for Common Sense Media) is that I get a lot of apps. We get emails all the time from marketing reps, indie developers, and anyone else hoping to get an app featured on GeekDad. Some of these are fantastic, some less so. Sometimes there are apps that are just completely irrelevant for the site. 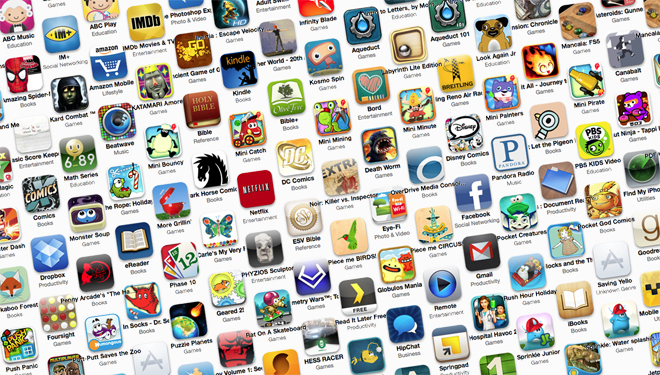 On top of this are the apps that we find on our own, whether they’re freebies or things our friends have told us about. The biggest problem, of course, is the sheer number of them: there’s simply no way we have time to test everything in the App store — so we just have to take our best guesses and write about what we’ve actually tried. I mean, sure, there’s the Wired App Guide, which has about 400 reviews in it (and also has a sidebar about yours truly and another on fellow GeekDad Dave Banks). But, hey, I only got to name a few apps for that — and one of them, Game Time Limit , stopped working after the latest iOS update, so my bit there is already out of date. So here’s Core Dump: my little corner of the web to give you brief snapshots of a bunch of things which haven’t had full-length reviews for one reason or another. It doesn’t necessarily mean they’re not as great as something I wrote up in its own post — it may just mean it didn’t catch me with a free hour to take screenshots, format them, and write a full-length review. You may see more of these in the future, but for now, here are ten iOS apps that have gotten a good amount of play on my iPod and iPad, in no particular order. 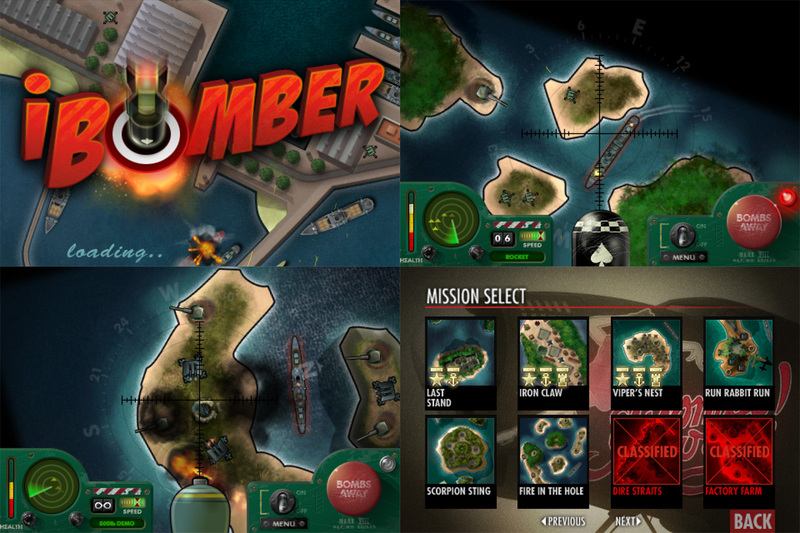 iBomber: fly over islands, bombing gun turrets and enemy ships. A friend of mine actually tipped me off about iBomber , and it was one of my earliest purchases for my iPod touch. You’re a bomber pilot, protecting your fleet by taking out enemy ships and gunners. 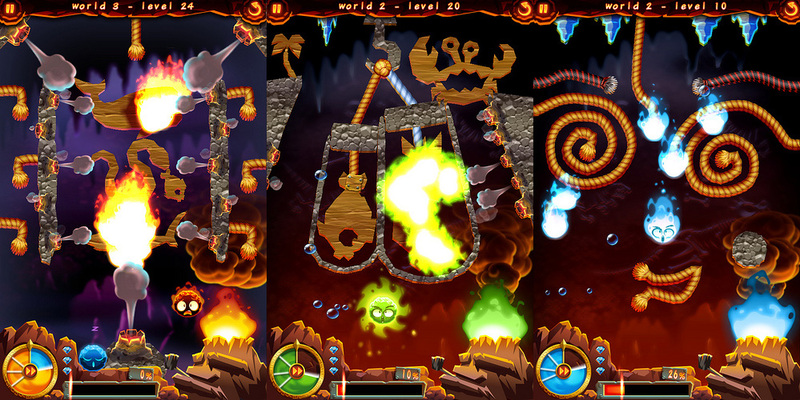 The screen shows a top-down view of the world, and you fly using tilt controls, tapping the “Bombs Away” button to rain down destruction. Of course, the enemies get to shoot back at you, so don’t slow down too much. The trickiest part of the game is estimating the lead time you need to drop the bombs — the faster you’re flying, the further the bombs will travel before they hit. Each level has specific objectives to complete, but you also earn badges for destroying buildings and ships and for bombing accuracy. The game has 18 missions included, with an additional 6 more available as an in-app purchase. It’s an old one, but still a lot of fun. A bit pricier at $2.99 but the gameplay is pretty cool. I see that there’s an iBomber 2 available as well, but I haven’t tried that one myself. Hills of Glory: freemium war in the trenches. Speaking of war games, here’s one that puts you down on the ground. 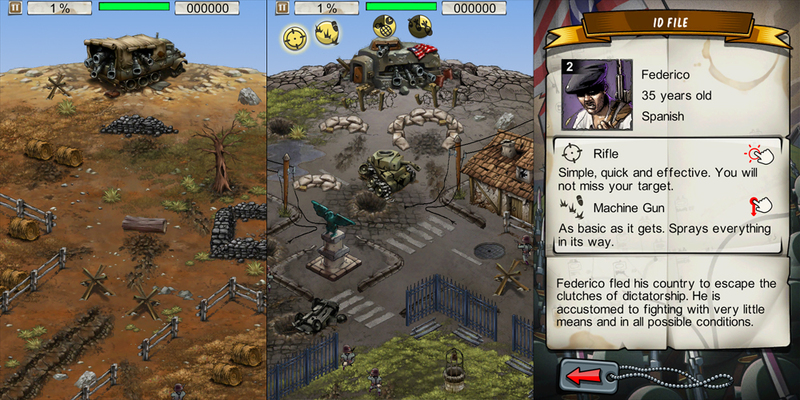 In Hills of Glory , you hold down a bunker (at the top of the screen), and choose a couple soldiers for each level. Enemies come in waves from the bottom and sides of the screen, marching toward your bunker to take it out. Early in the game all you have is a single rifle: you tap directly on an enemy to shoot it. But as you recruit more soldiers, you’ll have access to additional weapons that let you strafe a whole row of enemies, or do heavier damage to things like approaching tanks. Different weapons are fired using different swipes or taps on the screen, and the later levels get insanely hectic as enemies swarm toward your bunker. The original version of the game is free to play, with in-app purchases of currency that let you recruit soldiers more quickly. Or, you can grind through levels to earn things yourself. There’s also the $5.99 premium version, which is kind of steep. I’m not sure it’s worth that much, though I’ll admit to spending a lot of time blasting away at soldiers. It’s cartoony violence, but somewhat gruesome, with little tiny soldiers exploding or burning up, so probably not for the wee ones. Noir: a 2-player game of deduction. Noir: Killer vs. Inspector is an interesting deduction game for two players, more of a board game, really. It was designed by D. Brad Talton, the guy behind the BattleCon card game I wrote up a while back. Here’s the deal: one player is the killer, and one is the inspector. You are each one of the characters in a grid of 25, and you get one action per turn. Both players can shift a row or column one space (wrapping around the ends). The Killer can select a character adjacent to them to kill, or choose to pick a new disguise, which kills off the previous identity and jumps them into a new one. The Inspector can investigate one character adjacent to them, finding out if they are the killer or not, or they can exonerate somebody, which randomly marks one suspect as “Innocent.” The killer will never be disguised as somebody marked Innocent. 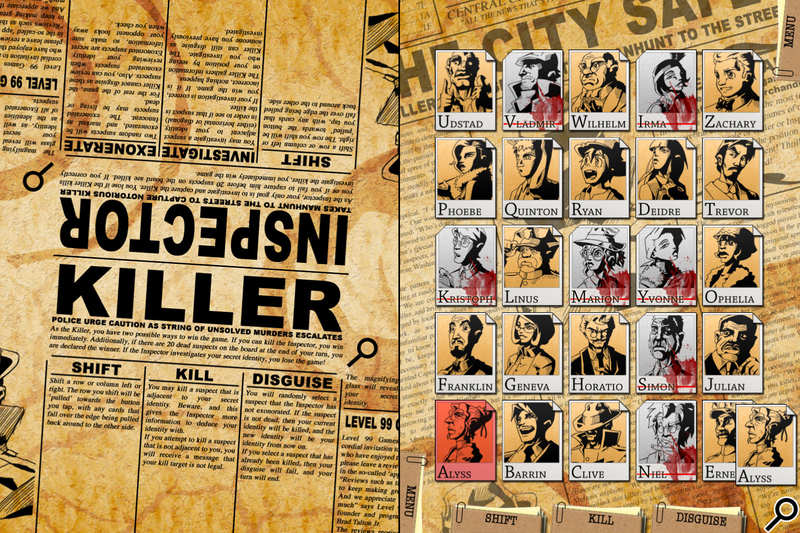 The Killer wins if he kills the Inspector or if there are 20 dead suspects on the board at any time. The Inspector wins by catching the Killer. All of the moves are done within plain sight of the other player, though you hide the screen when you check your own identity or when the Inspector checks the “innocent” suspects, which the Killer doesn’t get to see. It’s a clever, simple-to-learn game of cat-and-mouse, and looks great. I only wish there were online multiplayer. Tiny Tower: like a very small version of The Sims. You should not download Tiny Tower . Seriously. Because then you’ll find yourself in charge of a little pixelated skyscraper, building floors and renting out apartments and placing people in jobs, and you’ll never get anything else done. You can pick outfits for your bitizens, try to match them up with their dream jobs, and shuttle them around in the always-too-slow elevator. You can even read their comments about their tiny lives on Bitbook. Tiny Tower is a freemium game: it’s free (and I’ve spent absolutely no money on it) but you can spend in-app money to get Tower Bux, allowing you to complete things more quickly. The prices for things like new floors and faster elevators scale up really quickly, so unless you’re wanting to spend real money, be prepared to do a lot of stocking of shelves. I really can’t explain why this is so fascinating to me, but I’ve been managing the lives of my bitizens for, I dunno, two months or so now. I can’t quit. Help me. Temple Run: like Canabalt with an added dimension. 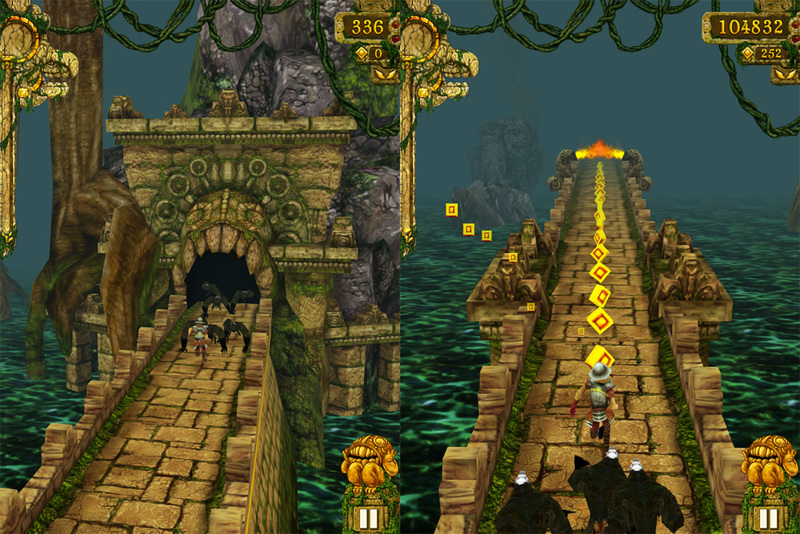 If you’re a fan of the never-ending run-for-your-life genre, here’s one to throw into the mix: Temple Run . The premise is that you’ve just stolen the sacred golden idol from an ancient temple — and now you have to run for it, before the demon monkey things catch you. As you run, you’ll have to jump across chasms, duck under flames, and watch out for the big tree roots blocking your path. It’s a bit more complex than the one-tap games like Canabalt and Jetpack Joyride (also favorites of mine): aside from swiping up to jump, you swipe down to duck and slide, and left and right to turn. Also, there are three “lanes” on the path — you tilt your device left and right to pick up coins in the left, center, and right sides of the screen. Like others of its ilk, Temple Run is for people who don’t mind a lot of repetition, going for higher scores and achievements. There are a number of objectives to complete, and each one increases your score multiplier by one. It’s another freemium app: you can pay for more in-app cash to spend on things, but you don’t have to. It’ll just take you longer. It’s fun to unlock new characters, and there’s a good deal of humor in the death screens, with little cartoons of the characters in peril. Oh, and the screeching of the demon monkey things (they start catching up if you stumble without dying) is pretty unnerving. Rush Hour Holiday: classic sliding-block puzzle with a holiday theme. Rush Hour , the classic sliding block puzzle, is now available as a holiday-themed app. You can get the basic version that looks like the physical puzzle, with colored vehicles blocking a car in the parking lot. Or, for a limited time, you can get Rush Hour Holiday , which has 400 new puzzles with festive, gift-wrapped boxes blocking the penguin on a sled. The idea is the same, though: slide things around to make room for the sled to exit the screen. If you succeed, you’ll get a message showing how many moves it took you and what the minimum number of moves is — that’s a nice touch, letting you know what to aim for. There’s also a hint button, which will do the next move for you, and a “solve” button that will play the solution. But that’s cheating: and Santa is watching. The original Rush Hour app is $2.99 (for 2,500 levels), with a limited free version, and Rush Hour Holiday is $1.99 (with 400 levels). Do you need both? Probably not, unless you’re a sucker for penguins and wrapping paper, but it’s a solid execution of a great puzzle game. There are a lot of little physics-based puzzlers that have come across my radar, some better than others. Catch the Candy is a middling one, but my kids love it. You’re a little blue fuzzball with an insatiable taste for peppermints as big as you. Also, you have one really long arm. Basically, you tap anywhere on the screen, and the blue guy shoots out his arm, grabbing whatever it touches and pulling. Sometimes you’ll pull yourself along; sometimes you’ll drag an obstacle toward you; and sometimes you can’t get a grip and your arm just zips back. There are 80 levels to play: some are pure physics challenges, but a lot of them are more like logic puzzles or riddles — the challenge isn’t whether you can hit the right spot with your arm, but whether you can figure out the secret. The graphics aren’t astounding and the gameplay isn’t spectacular, but it’s fun for a little puzzle break. At $.99 ($1.99 for the iPad version), it won’t break the bank. It didn’t take me too long to beat all the levels, but for whatever reason it’s been a favorite of my kids (ages 5 and 8). Even after they’ve beaten a level, they’ll still play it again, just to hear the little blue guy say “Yum yum yum!” when he gets the candy. Not sure? You can try out the free version first. Burn It All: fun with fire! Like playing with fire? 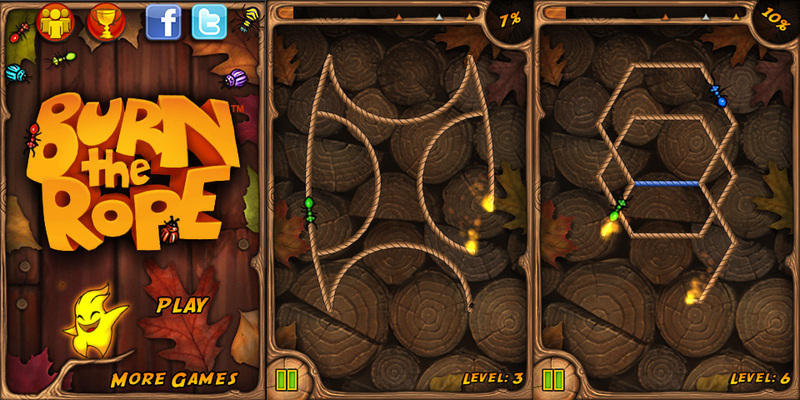 Here are two puzzle games about fire, though they’re quite different from each other. Burn It All puts you in control of a little spark, and your goal is to burn as much as possible of the ropes and wood on the screen in a limited amount of time. You drag the fireball around to light things on fire, but watch out for dripping water and bursts of air that will put the spark out. There are tricks to it — some things burn more quickly than others, and there are three different types of sparks that behave slightly differently, too. The regular orange one can only light the ends of ropes, the blue one can start a fire at any point of an object, and the green one can burn straight through several things at a time. Later levels also include interesting Time Loop puzzles, Magic Keys, and Elevators. This puzzle app requires a combination of strategy and speed, so sometimes even when you can see a solution it can be quite frustrating that your fingers aren’t dexterous enough. There are a bunch of levels (125 currently) and they’ve been releasing new ones every so often. Oh, and you know those little pop-up messages encouraging you to rate an app on the iTunes Store? Burn It All has some of the most entertaining pop-ups I’ve seen. Here’s another one for firebugs: Burn the Rope . Again, your goal is to burn as much as possible, but the puzzle is a bit different. Tap any one location to start burning the rope-based patterns. But then you have to tilt your device to keep the fire burning — the fire burns upwards, so if it runs out of things above it, it fizzles out. In addition, there are sometimes colored bugs crawling on the ropes which will change the color of the fire: colored ropes can only be burned by the right color. The trick isn’t just finding the right spot to light first, but trying to manage the correct direction of the burn so that you can get to all of the ropes without losing the flame. The app is only $.99 but also has additional in-app purchases for more levels. It’s not a universal app, so you can enlarge it on the iPad in 2x mode, but it’s much easier turning your iPhone over than the large iPad. There’s also a free version to try out, and a (currently free) follow-up called Burn the Rope Worlds which has slightly different gameplay. Electro Chuck: tilt controls, without the fire. And, finally, here’s one more that uses the tilt controls: Electro Chuck . You know those puzzles where you have a metal ring that you have to maneuver along a bent wire without bumping it, or a buzzer goes off? That’s kind of the idea behind this app, which features a very odd ring-shaped fish (named Chuck, apparently) cruising along an electric cord. You tilt your device to keep Chuck centered on the cord — if he bumps it, he gets a nasty zap and loses some health. There are also various things along the cord, like little critters that will hurt you if you touch them. Tapping the screen makes Chuck enlarge briefly to “jump” over things, but some of the obstacles you’ll need to just duck through. Later levels get really hard as you have to turn your device all the way upside down and over, depending on where the rope is going. Like Burn the Rope , Electro Chuck is a little easier to handle on the iPhone or iPod touch, but you can play on the iPad as well. You can also get a free version to try out before you buy. Disclosure: GeekDad received review codes for Hills of Glory , Noir , Rush Hour Holiday , Catch the Candy , Burn It All , Burn the Rope , and Electro Chuck .